24th July:Chantilly – Paris Champs Elysees 113km this is the final stage of this years Tour and this morning I rode (yep me) further than that! 130km done by lunch time! This is a Tour de Force (feat) for me! I have watched the Tour de France for 25 years ……..by virtue of the fact that we had a video recorder and channel 4 (both rare commodities in the village I grew up in) My bike obsessed friend persuaded me to video the highlights for us to watch each day in return for lifts to school in a purple Marina van. I have been to see the Tour finish in Paris. As exhilarating a sporting event as you will ever see! As the Peleton of exhausted riders passed on a scorching day I held my 11 month old son up to see for the 30 seconds it took for them to charge past on the way to the Champs Elysees. A moment seared into the memory. 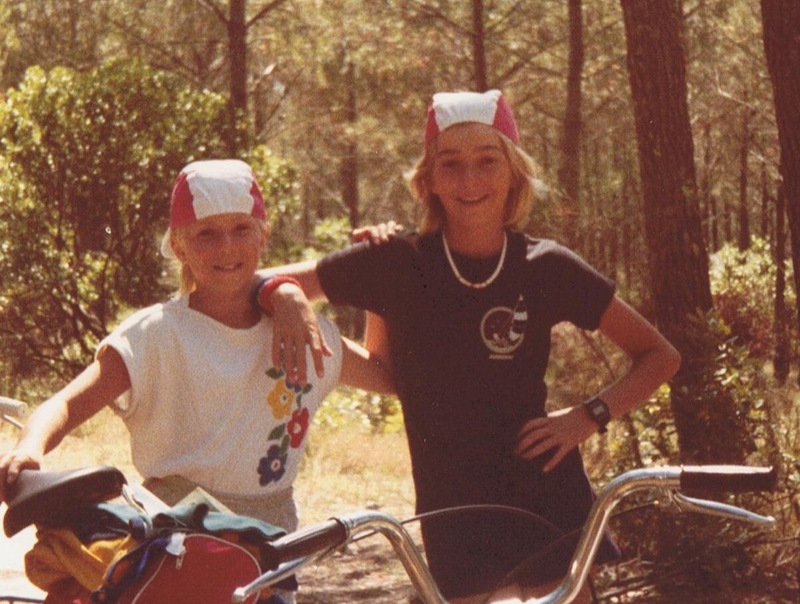 My own cycling history up until 2011 comprised of being the “Lantern Rouge” our family cycle outings in France. as we cycled the tracks laid by the Germans in WW2. I would wobble off the single paving stone and shout “I’m in the sand” at regular intervals! I was ONCE allowed on Pauls super expensive road bike. It was only once as I rode it straight into a lamppost. I am super careful to avoid street furniture now. In summary I liked to watch but in my youth I thought roller skates and ponies were better modes of transport! My view of cycling changed the day I saw a triathlon event in Salford in 2003 The ladies whizzing round on beautiful bikes in their swimming costumes looked like it could be a lot of fun! I wanted a go! It took until 2011 to purchase a road bike. I rode it tentatively home unable to work the gears and with some serious steering issues…..narrowly avoiding lampposts. Donna (my bike) and I still have long discussions about what gear I think she should be in and the actual gear she is in! So imagine my delight this morning when by lunch time I had propelled myself 130km as the conclusion to my 0-1000 mile training plan for my 100 mile ride next week. This miraculous feet has been achieved a a result hours of “patience and coaching” from friends and encouragement and motivation from the marvellous Strava community! So I thank you all for the help and support in making this next part of my sporting dream come true!